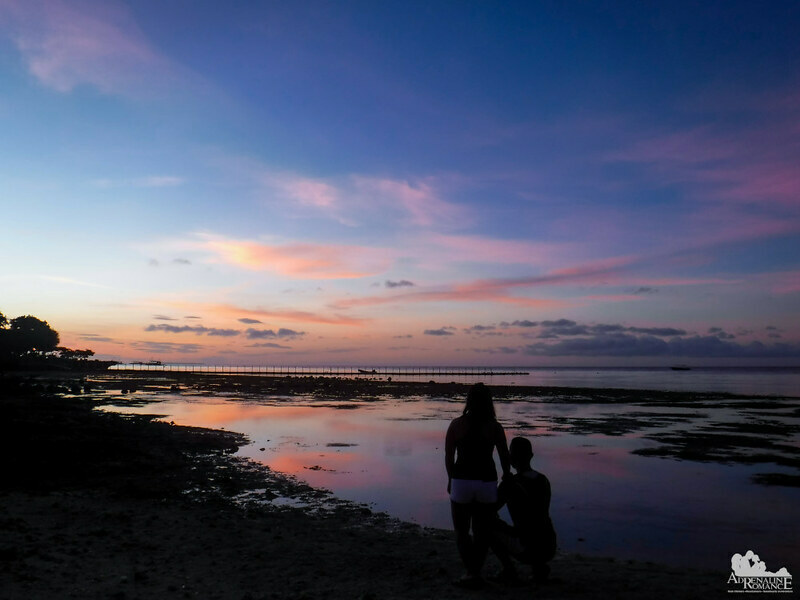 Bluewater Panglao Beach Resort is an excellent place for that weekend sojourn, romantic honeymoon, or long-awaited family reunion. But it offers more than just comfortable rooms, azure pools, and world-class customer service. The resort offers lots of facilities, activities, and attractions to keep guests of all ages busy all day! Indeed, you don’t have to stay all day in your room! 1. Energize with a beautiful sunrise. Wake up early, head out to the beach, and enjoy the multi-colored tints of dawn. Even though the resort’s beach points north, it still cants slightly to the east. Thus, it offers you a very nice view of the sky as the sun welcomes the day. 2. Do your morning exercise at the beach. Start your day right and healthy. While enjoying the sunrise, stretch your limbs, loosen up those joints, and reactivate those muscles. 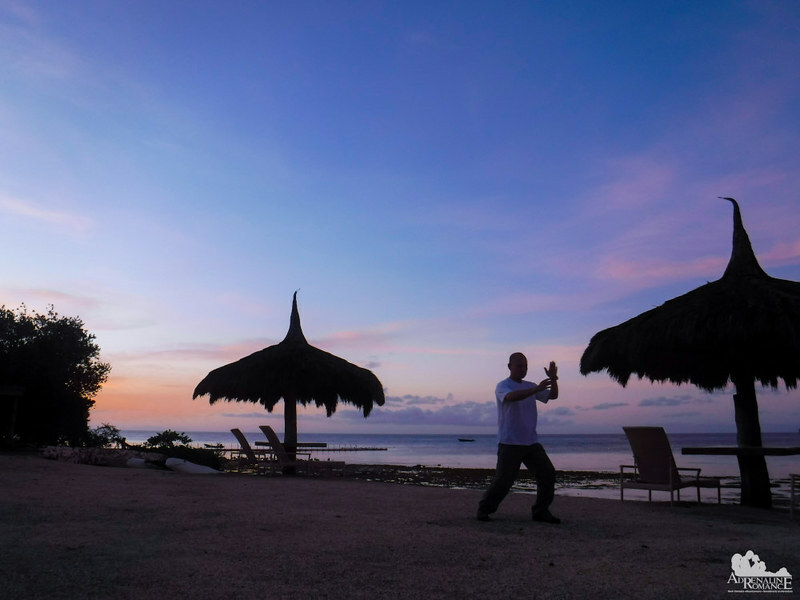 The resort’s beach is a right place to do tai-chi, yoga, stretching, and other exercises. 3. Use the obstacle course as a gym. The resort does not have a gym. However, you can definitely improvise! Use the obstacle course as a gym. 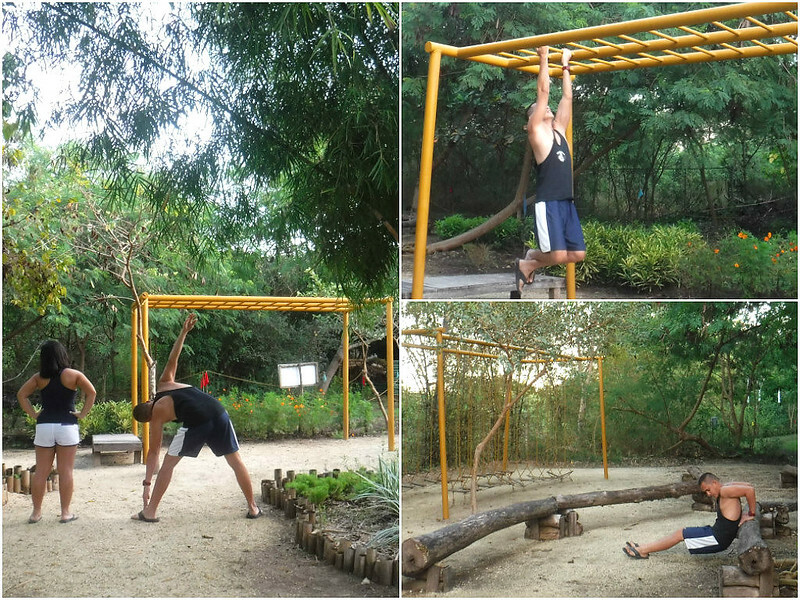 Sweat it out, and use the structures for pull-ups, push-ups, tricep dips, and more. Don’t forget to apply your FG Xpress power strips to relieve sore areas after a tough morning at the obstacle course. 4. Relax at the beach. Where there’s white sand and blue sea, there’s always utter relaxation. And it gets even better because there are couches all around. 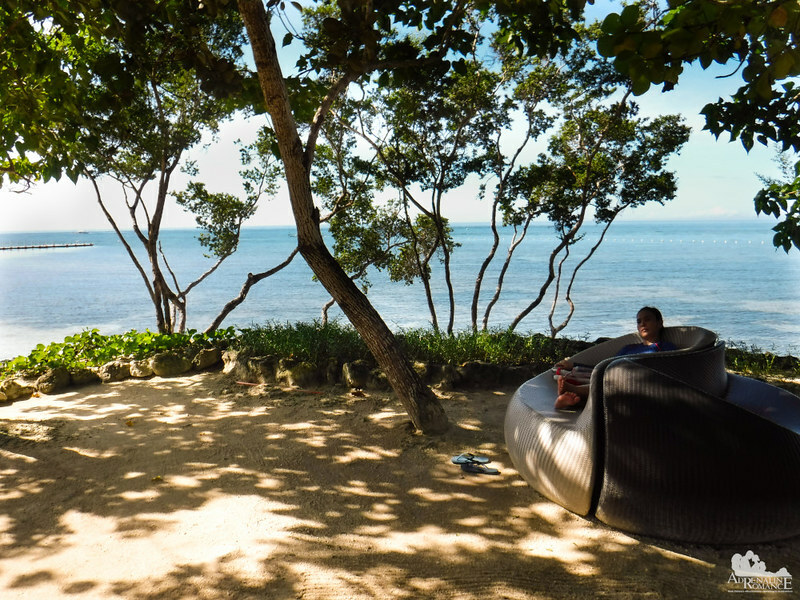 Don’t worry about the sweltering sun baking you; those couches are positioned underneath the protective, shaded canopies of sea-borne trees. 5. Discover amazing shallow-water marine wildlife. 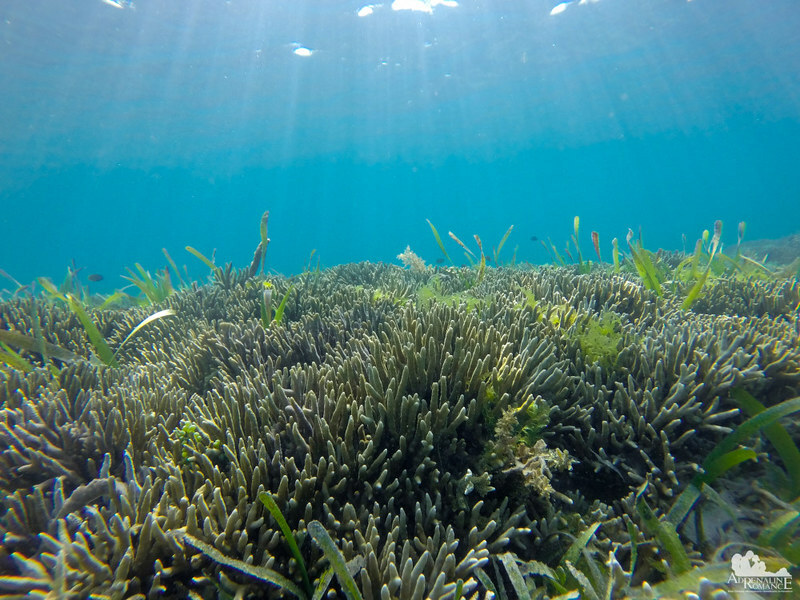 Grab your mask and snorkel and hover over the spiky staghorn corals, anemones, and sea grass of Bluewater Panglao Beach Resort‘s in-house reef. Even though the water is shallow, you can see a myriad of cool sea creatures. 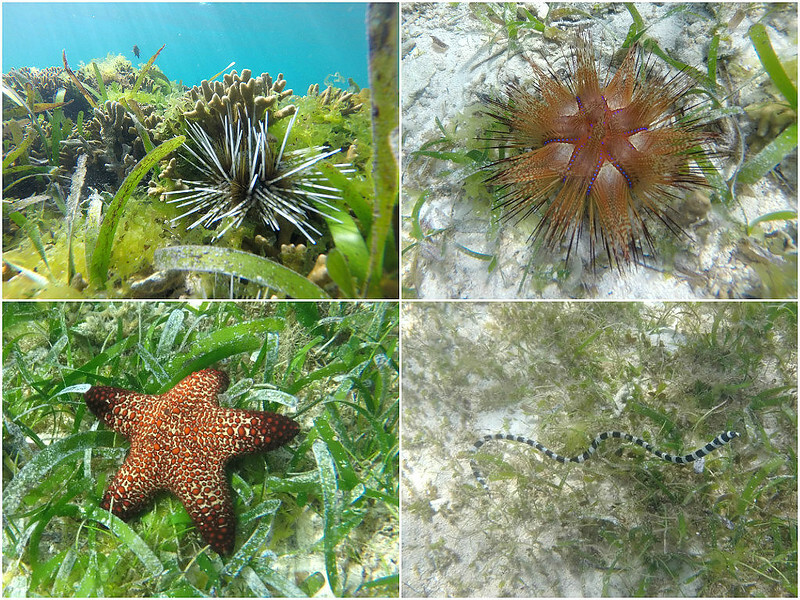 In fact, we saw colorful urchins, starfish with interesting patterns, and schools of small fish. We even had a funny encounter with a shy sea krait. He was swimming lazily when he suddenly encountered two huge humans (that’s us) looking at him. The three of us were quite surprised; and, for a moment, no one moved a bit. The snake was probably afraid of us as we were of him. Hehehe! Fun and fitness! Sun and sea! Yes, that’s what you get from riding a kayak. 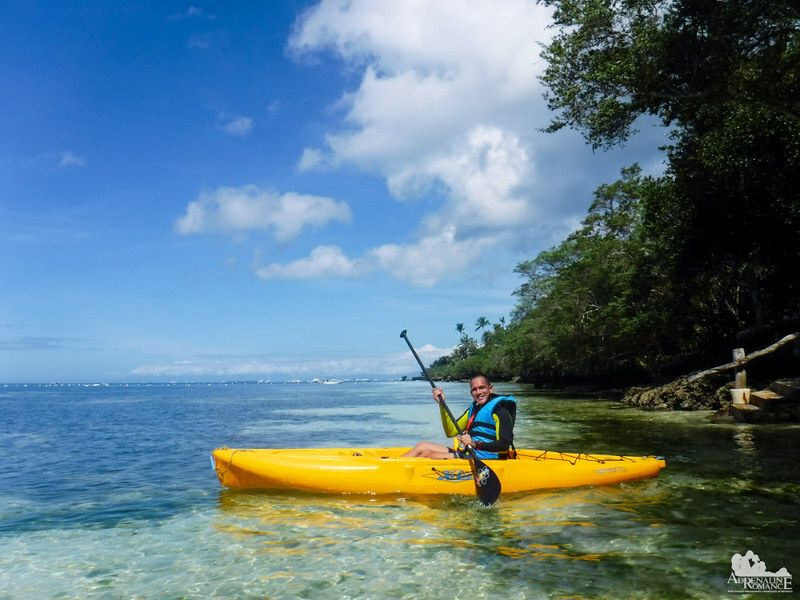 Bluewater Panglao has a bunch of kayaks that you can use to explore the reef. 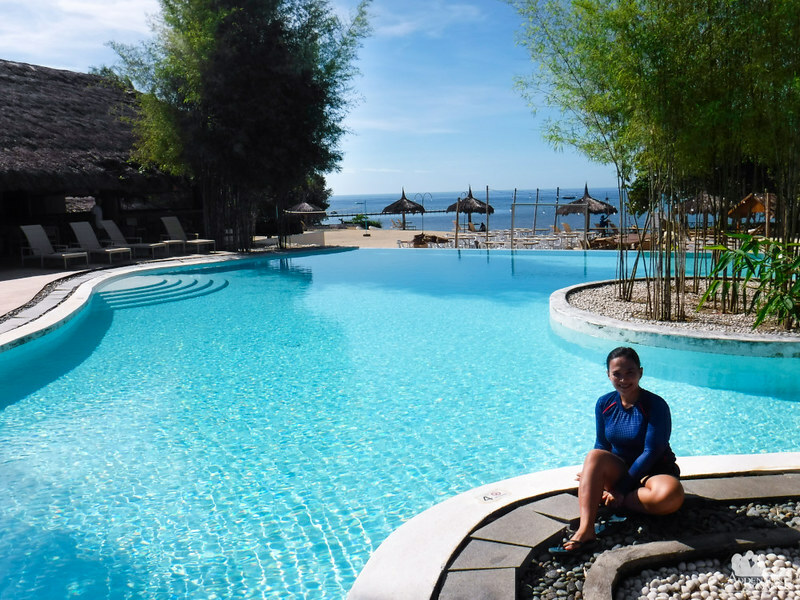 The resort also helps you arrange inland tours, island hopping tours, scuba diving adventures, and more. 7. Have fun with a stand-up paddle board. Or you can test your balance and agility by riding a stand-up paddle board. Invite your partner over, and have a fun race. Just don’t go beyond those white buoys. 9. Ride a powerful ATV. If you feel the need for speed—and a wild ride—then you should try out driving one of the resort’s powerful all-terrain vehicles (ATV). It is totally fun, and you can feel the adrenaline up your veins! The resort has a very nice off-road trail that features varied terrain. Some sections are rough, some are smooth, some are inclined, some are rocky, some are grassy, and more. Marker flags ensure that you stay on the trail at all times. 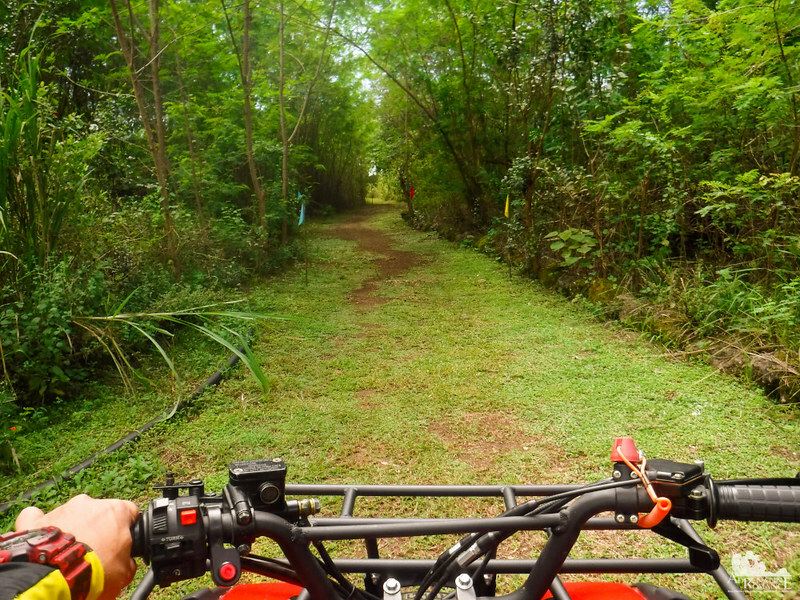 The ATV trail also doubles as a biking trail. 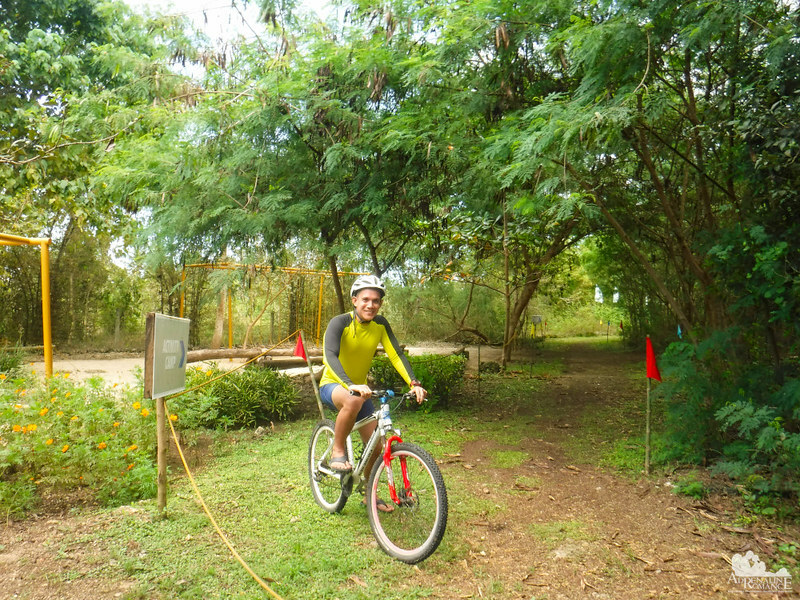 Grab one of those cool mountain bikes, and explore the resort’s forested trail. 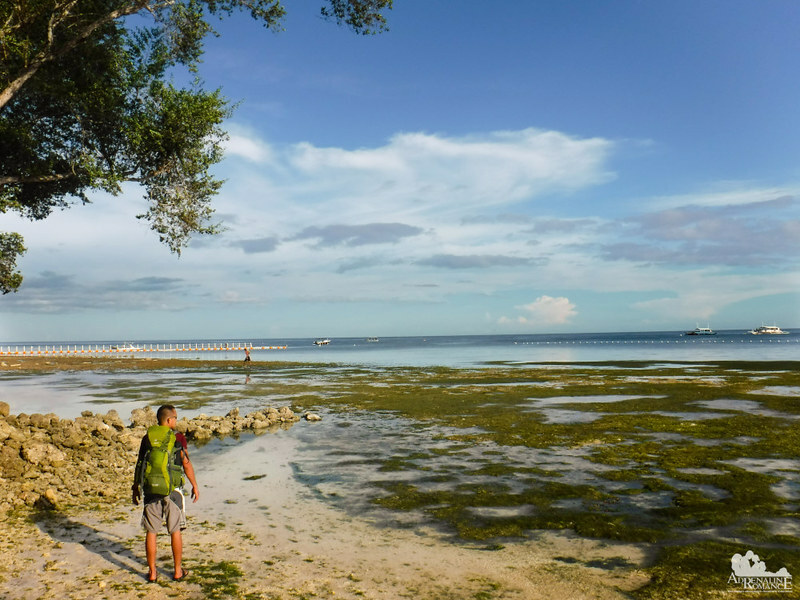 In addition, for a minimum fee, you can take the bike outside and pedal your way around Panglao island. 11. Visit the resort’s nursery. 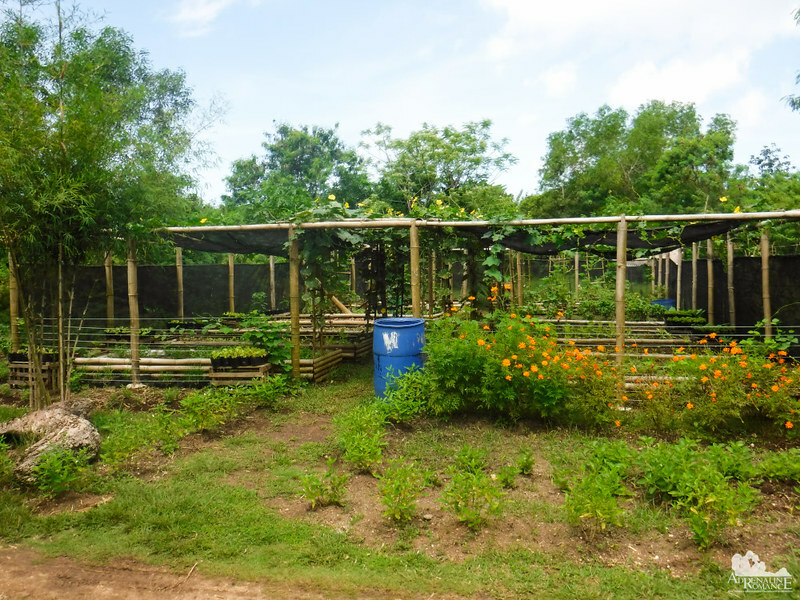 In the middle of the off-road trail is a quiet plant nursery. This is where the chefs at Aplaya Restaurant get the vegetables and spices they need for their culinary masterpieces; you are always assured of a fresh meal. The gardeners also grow flowers, bushes, and decorative plants to replace those that have wilted away. 12. Take a stroll around the garden. 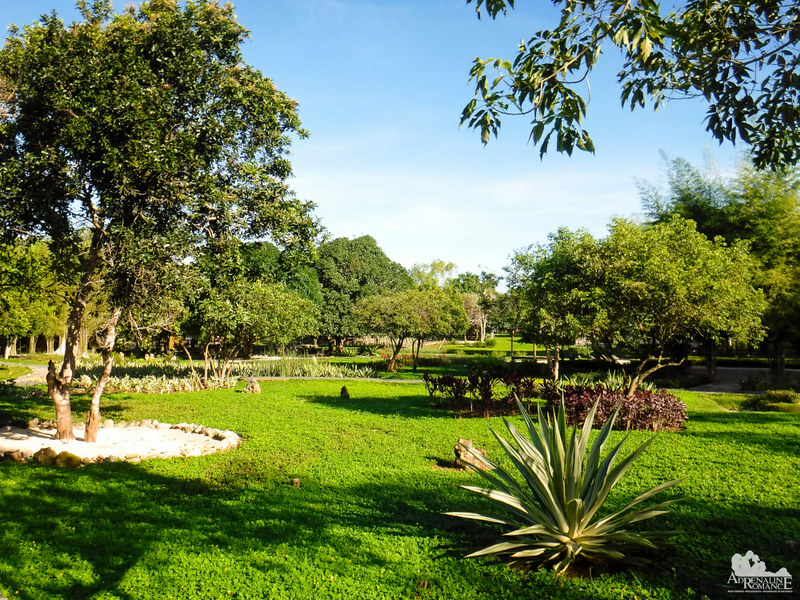 Bluewater Panglao has one of the most impressive gardens we’ve ever seen. Replenish your spiritual energy and feel your stress melt away as you walk around its pathways, admiring the vibrant blossoms, trimmed bushes, and carpet-like grass. Lofty trees act as umbrellas for outdoor nooks where you can read a book, drink your morning coffee, enjoy an afternoon tea, and more. 13. Let your kids play in a sandbox. Children love the beach not just because of the cool water but also because it lets their creativity run wild. 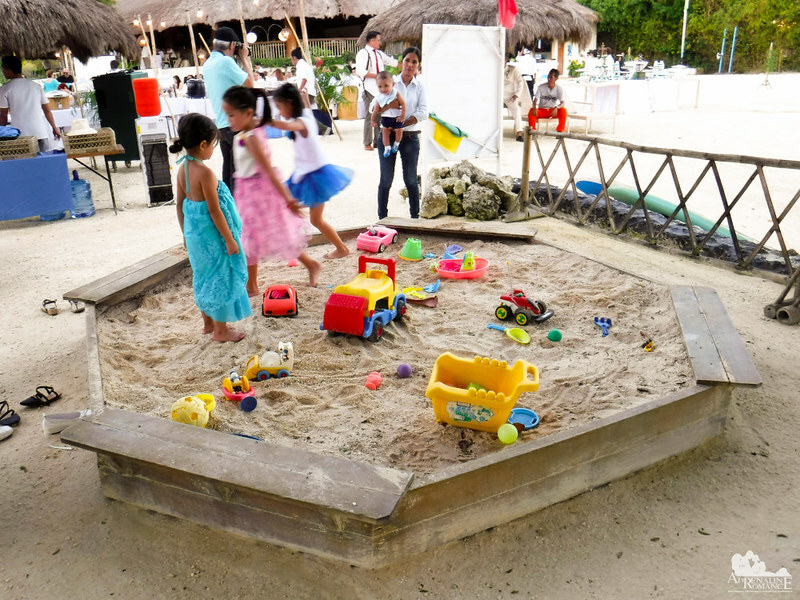 The resort provides them a sandbox, complete with toys, to encourage them to conjure whatever they imagine. 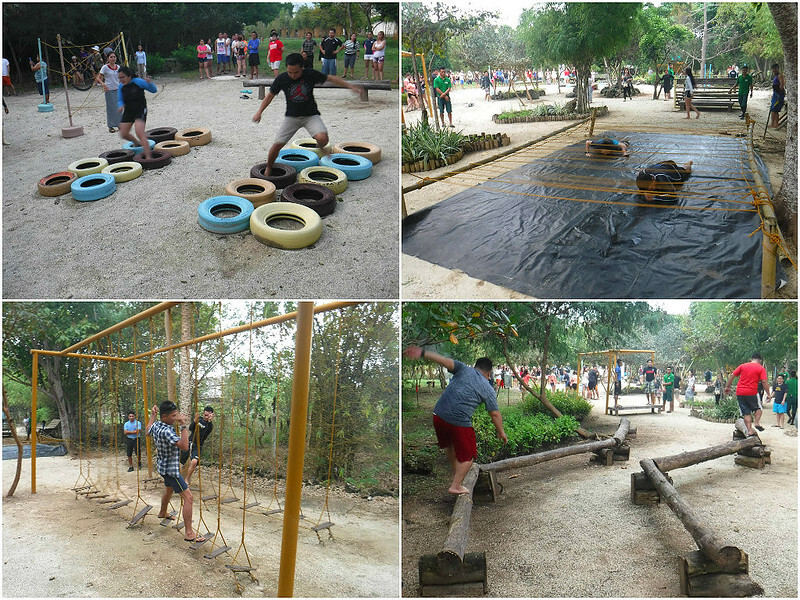 Other kiddie activities the resort offers include gardening, crafts, cooking, and more. 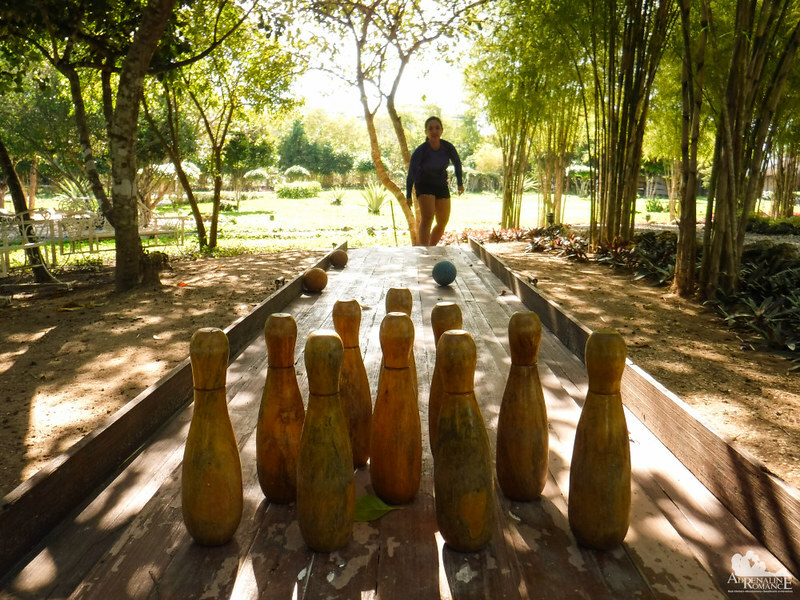 In one corner of the garden lies a small bowling lane. Challenge your friends over a fun game of mini ten-pin duckbin bowling. 15. Organize a challenging team-building activity. Do you want to strengthen the bond between your colleagues and improve teamwork? 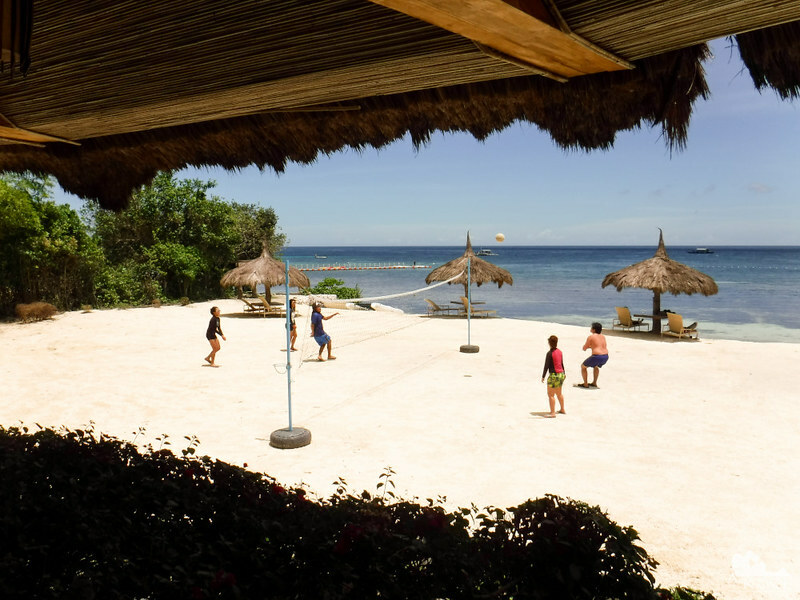 Let Bluewater Panglao organize exciting, fun-filled team building activities for you. Solving problems, racing down an obstacle course, housing and feeding your team—the resort does it all for you. 16. Play various beach sports. Have fun with friends as you play frisbee, volleyball, badminton, and more. But if you want something a bit more exciting and unique, try out playing traditional Filipino games such as takyan, sentro-sentro, bato lata, buwan-buwan, and more! Those games will surely bring the child—and the competitive spirit—in you! 17. Relax, bask in the sun, and cool down in the resort’s two pools. All these activities would definitely make you sweat gallons. Cool down and freshen up in any of the resort’s two pools! You can also order your favorite drink at either the Aplaya Restaurant or Baroto Poolside Bar to keep you company. If you booked in a villa, you can enjoy utmost privacy in your own private pool. 18. Go night swimming under the stars. Is the day too scorching for you? Then take a dip at the pools at night time. The pool’s lights illuminate the water, turning it into a fairy’s lagoon. Amazing! 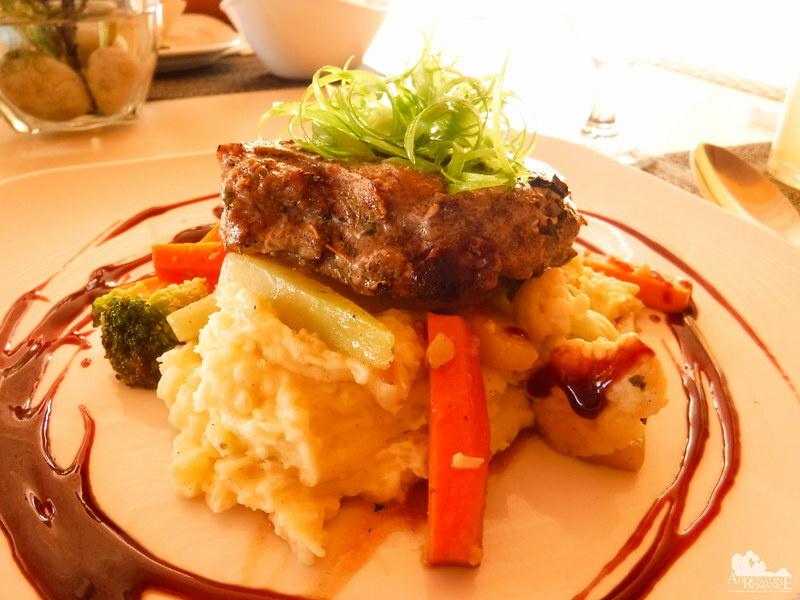 Fresh, delicious gastronomic masterpieces await the food connoisseur. Sample mouthwatering Filipino, Western, Asian, and Filipino-Asian fusion dishes, all prepared from local, fresh, and in-season ingredients. Each bite tells a story of Bohol’s history and culture. 20. Hunt for treasures that the sea leaves behind when the tide recedes. Low tide is one of the best times to go out to sea. As the water level goes down, it leaves behind some hidden wonders. Watch small crabs dig burrows as they try to hide from you. Check out how starfish move as they hunt for an unfortunate prey. Discover colorful shells that would have been otherwise covered in sea grass. 21. Watch a fiery sunset with your sweetie. As your fun-filled day comes to an end, it’s time to slow down, relax, and enjoy the moment with your special someone or loved ones. 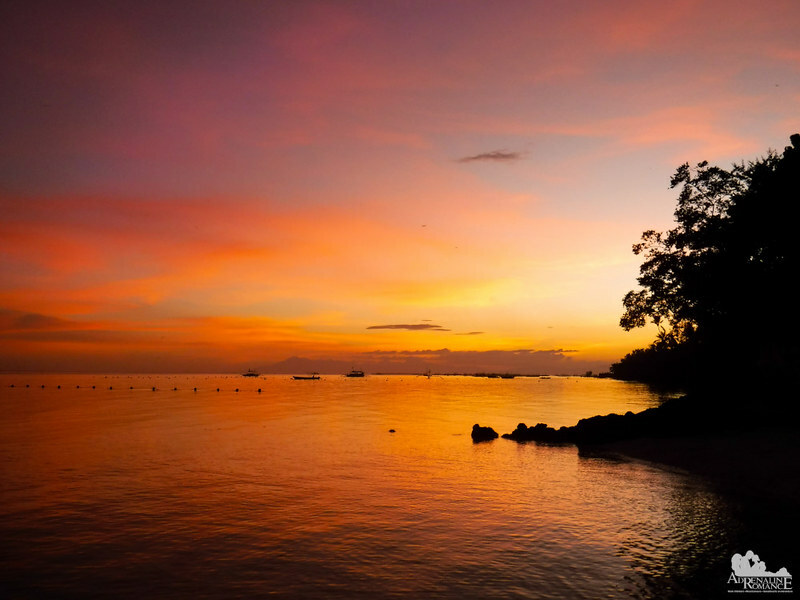 Head back out to the beach to watch Panglao’s fabled fiery sunset. As the sun drops down the horizon, the sky becomes aflame with gentle hues of orange, purple, magenta, blue, and red. The view is mesmerizing as it is calming. 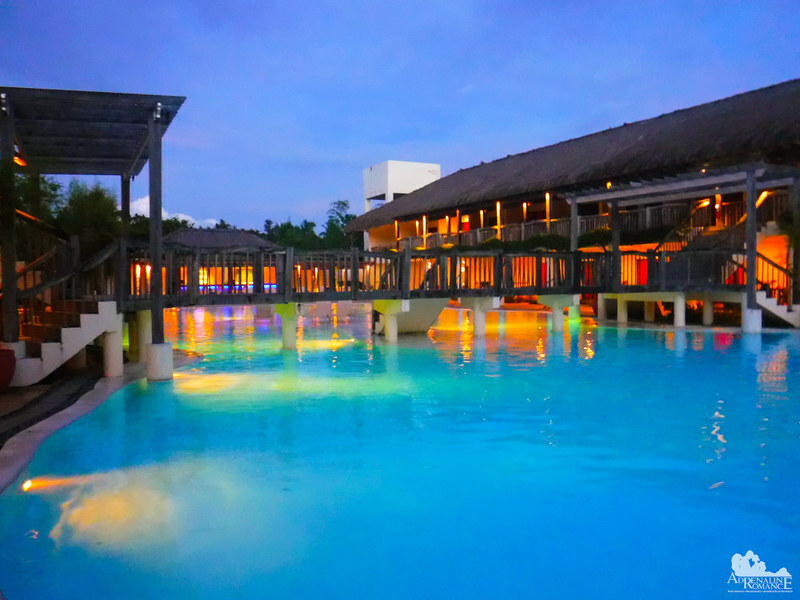 As you can see, Bluewater Panglao Beach Resort is more than a world-class luxury resort. 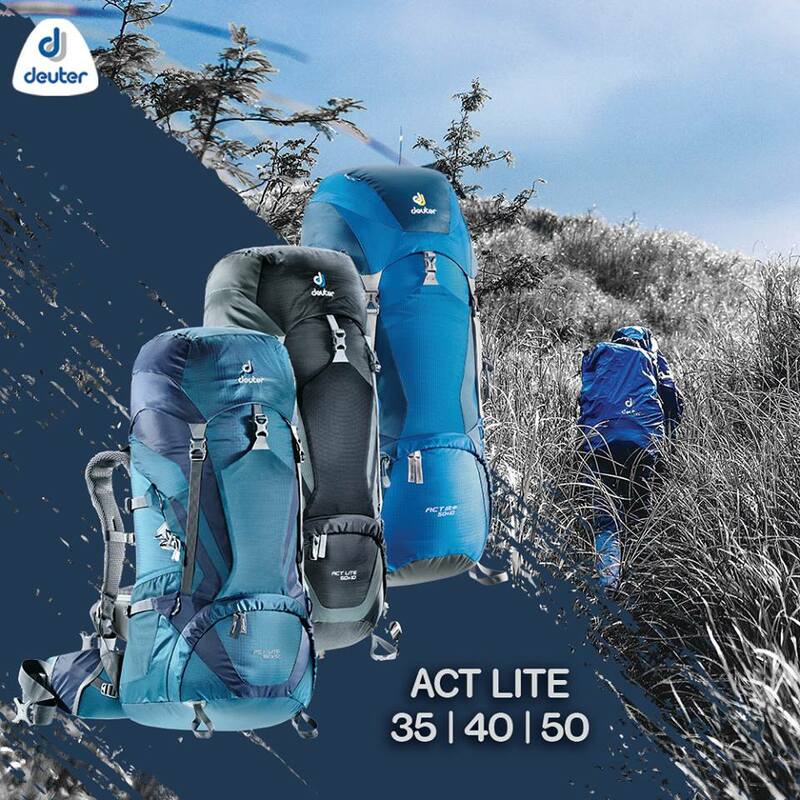 The abundance of leisure activities ensure that everyone—children, teens, adults, seniors, adventurers, and non-adventurers alike—will have the time of their lives. 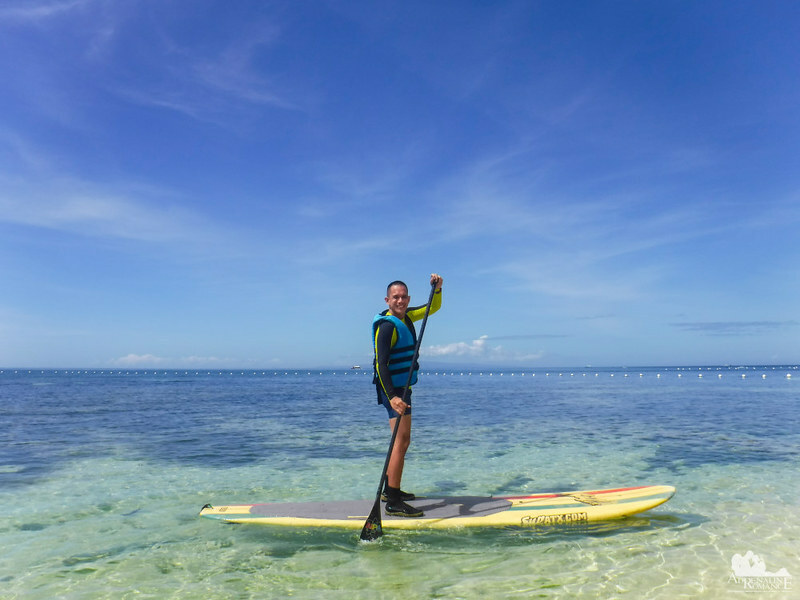 Book a stay in Bluewater Panglao Beach Resort, and experience the adventure! Sea krait – are they venomous? Loving the looks of this resort and so need some R&R right now to get away from the stress of city life here in London, UK. As much as I love a go on the monkey bars, the snorkelling would be the one for me. That underwater scenery looks gorgeous. So clear! Oh, yes, the snorkeling area/in-house reef is scenic. We weren’t able to reach the buoy border, but we believe the corals there are even more spectacular. You can’t beat a good sunset, and with fireflies too! It looks absolutely stunning. I’d like to think that I would be up early doing my exercises at the beach, but I’m more of a night owl these days so swimming under the stars would get my vote! What a great post, this place has sooo much to offer, i think id get lost in my mimd trying to work out which I would want to do first. That sunset, just wow. That i would love to see, you took a great photo there. Great post! There are so much things to do in the resort you’ll hardly get bored. And I am tempted to get a dip on their pools as I saw the pictures. It has so much to offer. Thanks for sharing. The place looks gorgeous! I need more days like this.. just laying on the beach with my favorite person with not a care in the world right now. Thank you for the sweet words. 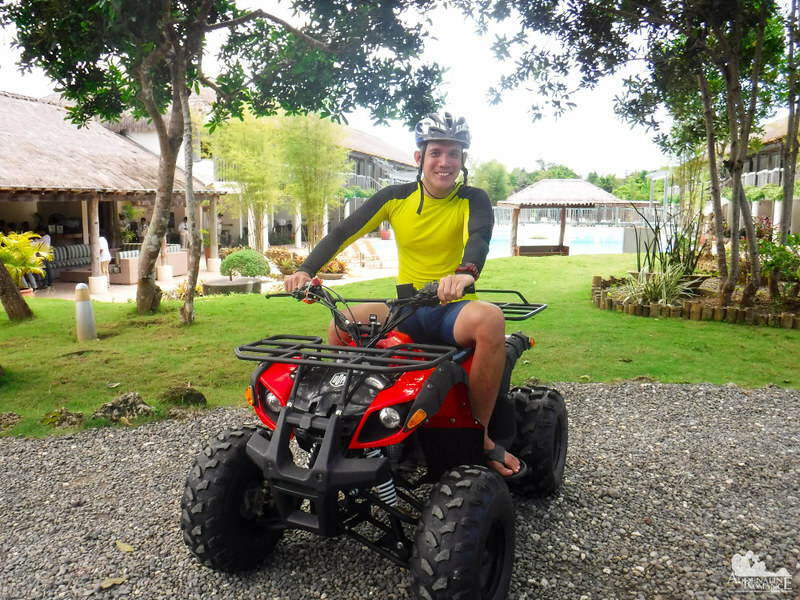 Yes, Bohol is indeed a great place for leisure and adventure. Tai-chi and snorkeling in one place? I would definitely go there! 🙂 Just imagine doing tai-chi in the morning, with those amazing sunrise colors, just beautiful! Looks like a great place to stay! I especially always enjoy places with some under water activities like snorkeling and such. This would be a resort I would love to stay at. Same here! 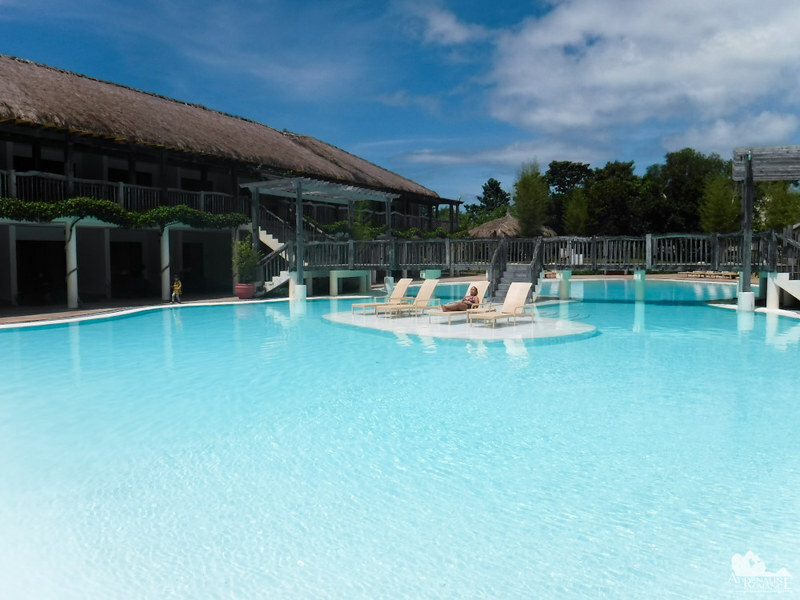 We especially love resorts that have their own in-house reef like Bluewater Panglao.